The GamerSushi Show is back for another week, but this time the intrepid boys from the States are hosting a different Canadian: Patrick, friend of the show, joined us this week to try and defend Nintendo against our usual merciless onslaught. So, if you enjoyed the cast, why not let Patrick know by rating it? Thanks for listening, and see you next time! And we’re back. Over the next week or so, you’ll see us returning to our old form and regular posting schedule. So let’s get to chatting about cool video game stuff. Many of you know of my love for the Final Fantasy series. Although it’s not quite as intense as a certain other GamerSushi contributor, I do consider the series formational as a part of my youth, and really helped me explore my love of story, characters and all things fantastic. That’s why I was excited to see a new documentary focusing entirely on the beginning of the Final Fantasy series, and Square’s roots as a company. It’s a really interesting look at gaming as it was a few decades back, and how RPGs first entered the scene. Even if you don’t love FF, I’d definitely recommend a look at some of its founders. Coming off Bioshock Infinite, I was anxious to start Tomb Raider, a game I have had my eye on since the first E3 reveal way back when. But once I started, there was one big problem: I just couldn’t get into it. There were a number of reasons for this: I was tired, I was trying to get in a little more WWE ’13 before trading it in and I had a pretty busy week with lots of “real life” obstacles getting in the way. I liked what I played, but being only able to play in 20-30 minute sessions a night wasn’t allowing me to get invested in Lara Croft and her tribulations in the Dragon’s Triangle. Even during cut-scenes, I found myself checking Twitter instead of paying attention. When a game originally starts its life as part of the True Crime series and gets dropped by its publisher in advance of its release, it doesn’t bode that well. Such was the case for Sleeping Dogs, until Square Enix swopped in and scooped up the rights to bring the game to the public, saving United Front’s Hong Kong-based open world game from development hell. 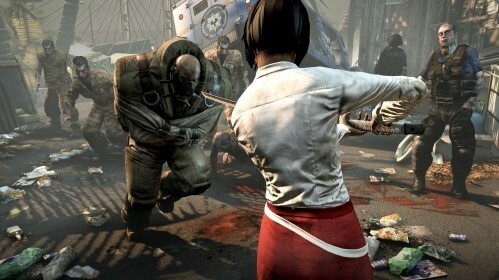 Starring the enigmatic Wei Shen as an undercover police officer infiltrating a local Triad gang, Sleeping Dogs takes the melee combat style popularized by the Batman: Arkham titles and mixes it with some familiar open-world tropes and in a brazen move, refuses to give the player a gun for the first few hours. Sleeping Dogs takes a lot of risks for what should be a safe bet in the video game world. Does the game succeed or is its cover blown? 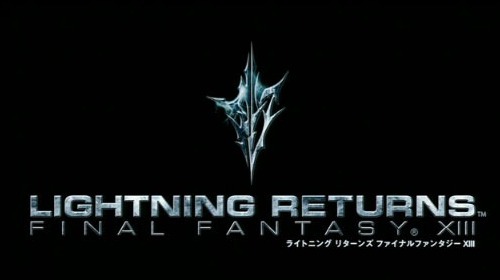 Yeah, that’s the title of the game: Lightning Returns: Final Fantasy XIII. After the somewhat misleading marketing approach of Final Fantasy XIII-2 that fixed itself around Lightning, even though her appearance in the game was little more than a cameo, Square Enix is not taking any chances and apparently shoving the main marketing theme right in the name: Lightning is back and that’s a good thing. 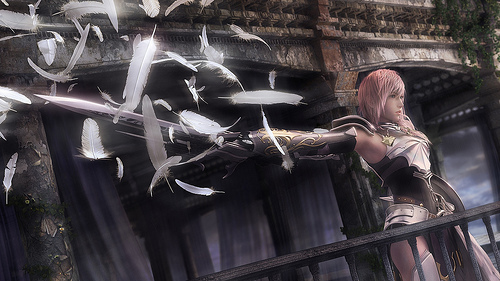 Somehow, despite the mixed reception of the first game in the Final Fantasy XIII trilogy and the more positive if cautious welcome of Final Fantasy XIII-2, the one thing people seem to agree on is that we all want more Lightning. So Square Enix is obliging, but in a radical departure from the previous two games, which I applaud because that’s the main reason I love Final Fantasy. Details are still scarce, but we know that Lightning is the only playable character in the game, but is highly customizable, allowing you to change her combat style and appearance in drastic ways. The biggest shock is that the menus are gone as this is an action-RPG, giving you direct control over her movements and actions for the first time. It’s something Square has hinted at in the previous two games, but now they appear ready to fully embrace it. It’s a direction the series has been heading for quite some time, so I am anxious to see how they pull it off. The other big gameplay difference is the presence of a Majora’s Mask type Doomsday countdown clock. The game will take place over 13 days and every action you perform, including healing, casting spells and reviving yourself will drain precious time from the clock, hastening the final showdown. Oh and the game takes place hundreds of years after FF XIII-2. Consider me intrigued. What about you? 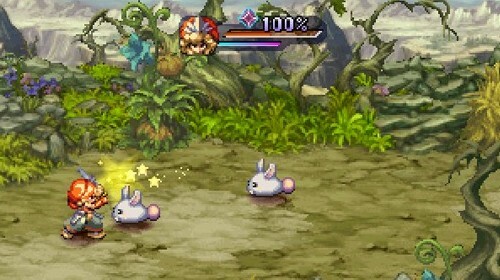 Do the drastic changes Square is implementing only further turn you away from Final Fantasy? Or does their desire for innovation make you want to give it a chance? Hit the comments! This current generation of video game consoles has brought a great many new innovations to the industry. The most surprising has to be the length of the current gen. Now, as a consumer, I am happy with this. There are so many games I want to play that the thought of a new console still makes me nervous. However, even I am starting to wonder about the when the next generation of consoles will land on store shelves. We have Sony and Microsoft talking about this generation lasting seven, eight, nine or even 10 years and it’s the biggest mistake they’ve ever made. He goes on to say a few more things, such as advocating for shorter console cycles and lower costs of development, the latter of which being a good thing for all, in my opinion. Merceron’s reasoning for this is that developers are always attracted to the new hotness and since there were no new consoles to develop games for, they went to web broswers and iOS. And he claims that they will not come back to consoles. But let’s examine his initial claim that devs went elsewhere because there was nothing new to develop for. First, as a fan of Square Enix, I have to say that this is utter drivel. If new consoles had come out, say, a year ago, iOS and web browsers were already strong at that point. So that doesn’t hold. If he means they should have released them before iOS games came out, that would have been in 2007. So that would have given the 360 a 2 year lifespan and the PS3 a 1 year lifespan. That doesn’t make any sense. On top of that, there’s the fact that even if the consoles had been released in 2009 or so, before the rise of Farmville, the devs would still have gone to web browsers and iOS, to at least try them. That’s his whole point. So it doesn’t really matter when the consoles come out because according to him, the devs go towards the new technology. And since iOS is pretty damn good, I don’t think they would have said, “Oh, this is great and all, but we should make Angry Birds for the PS4 instead.” It doesn’t compute. And for a final shot at the company that gives me more agita than any other, if the console cycle is so long, how come I have only 2 Final Fantasy titles on my shelf, one of which was a direct sequel reusing the assets from the previous game? Answer me that, Tech Boy. Am I being too harsh on Mr. Merceron? Or is he making excuses and suffering from delusions? Hit the comments! Gamers rejoice, Square’s much lauded Final Fantasy VII is getting an HD remake for the modern age! Unfortunately it isn’t being redone in FF13 style graphics, but I say take what we can get. Coming soon to PCs everywhere, the remastered Final Fantasy VII will take the classic RPG into the modern age, adding such gaming staples as achievements, cloud saving and the ability to buy items, gil and HP/MP without waiting to earn them. That last bit is a little strange, but in this day and age not everyone has the time to endlessly grind these things out, so the ability to buy items and HP will certainly be appreciated by some. The game will be available exclusively from the Square Enix online store when it launches soon ™ . Are you guys excited to be getting an FF7 remaster? Are you going to pick it up? What do you think of the new features being added, and what kind of achievements do you think will be in there (I hope they added our “Once You Go Black” cheevo)? Go! Pretty crazy, right? Are there any games out there that have similar glitches that you like to use? Have you ever discovered any yourself? Hit me! I suppose it’s a matter of opinion, but I wind up skipping most cutscenes I run into because I want to get back into the game. Frankly, I’m stunned. If you’ve ever played or indeed even heard of one of Nomura’s games, you would know why this news really should have shut down the Internet today. I’m kind of disappointed. To me, that’s a good sign. It shows that even one of Japan’s biggest developers can try new things and seek new ways to tell their stories. I have no idea what this new feature will be or if it will work at all, but I give him an “A” for effort. What say you? How can games tell stories in new and exciting ways? In honor of Zombie Awareness Month (Look it up, it’s a thing), we’ve been given some undead corpse-related news from our good friends over at Deep Silver, the developers of the highly anticipated FPS/co-op with a twist of melee zombie game known as Dead Island. They’ve found a publisher and it might raise your eyebrows and the dead from their graves. OK, I got carried away with that last one. 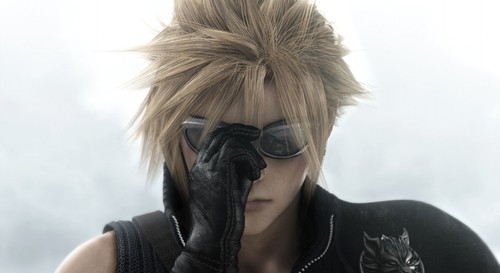 Square Enix, the publisher of Final Fantasy, Kingdom Hearts and other games where buckles, zippers and spiked hair reign supreme, will publish the game, due out something before the end of the year, as IGN is reporting. This is pretty smart because Square Enix still knows how to market a blockbuster game in a crowded field of contenders. But it also gives us the chance to make jokes. So, other than an emo main character who can’t remember what’s going on, what JRPG stereotypes would you like to see in Dead Island? (I realize the real answer is “none”, but just play along, OK?) Do you think Square will try to change anything before release? GO! We’re back this week with Episode 24 of the podcast, which takes place entirely in real time. Sort of. We actually had a lot of technical difficulties with this one, but I think Nick did a great job of lessening the horrors that we faced. Technical gremlins aside, this week we participate in the same tomfoolery that you’ve experienced from us every week, only this time we talk about Quantic Dream versus Rockstar, Square Enix’s fall into irrelevance, the most annoying fanboys in the world and Mass Effect 2’s Arrival DLC. After that, Nick drops a new game of Either/Or on us, and we hit up the PS3’s sales, Nintendo versus Angry Birds and the new trailers we got last week. I think Square Enix just got the Internet hooked up to their offices because they’ve been bombarding the PSN lately with classic releases, finally listening to what their fans have been clamoring for (Well, in some cases). Last week brought Parasite Eve and starting tomorrow another PS1 classic, Legend of Mana, will be available for download. Having rented Legend of Mana about 11 years ago, I am pretty excited to be able to play it again. For those of you who don’t know, the game plays like the SNES classic Secret of Mana, but with a World Map, which involves you placing the locations and rebuilding the world. Depending on where things are placed in relation to each other, new secrets will be revealed. Also, the game is very side-quest heavy, so if you aren’t into that sort of thing, consider yourself warned. 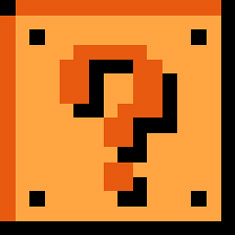 What other classic games are missing from PSN, XBLA and Virtual Console? Hit me! JRPG fans unite! Hello? Is this thing on? Well, anyways, those of you who enjoyed the latest installment of Square Enix’s flagship franchise, Final Fantasy XIII (and I know there are some of you out there) can rejoice because more of Lightning and company is on the way. 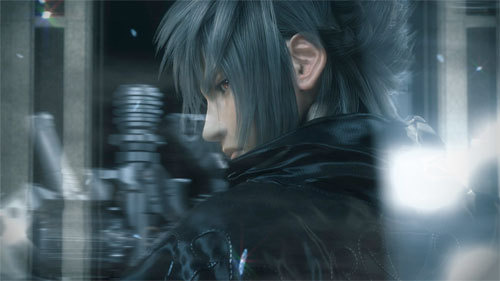 Square Enix has officially announced Final Fantasy XIII-2 for the PS3 and Xbox 360. The game will be out in Japan before the end of the year and in the U.S. and other regions next winter. 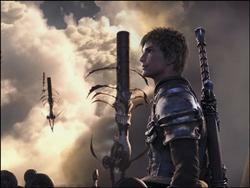 Despite the Internet ravings, FF XIII sold pretty well and garnered mostly positive reviews. I ended up enjoying it quite a bit and though I was divorced from the story, the ending was still rather touching, so I am anxious to find out what happens next. And more of Lightning is never a bad thing. What say you? 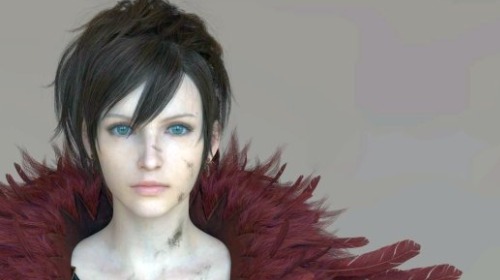 Is this a chance to make some quick cash for Square Enix or are you actually curious to see where the story goes? Let us know in the comments! GamerSushi Asks: Would You Rather? Apparently we’ve been leaving the Would You Rather game off to the side of the road, flopping like a fish out of water. So, being the kind gents we are, we decided to resuscitate it and bring it back to life for your enjoyment. Not that I’d do mouth-to-mouth with a fish. Well, maybe I would. For the uninitiated, in Would You Rather, I simply ask a series of questions, and you follow up with your answers. Give as much or as little explanation as you want for your choices, but we all know that we like to see the reasoning behind the madness. But beware, lest your answers be terrible and full of fail. For if they are, Jeff will use his vast eyebrow powers to blink you straight out of existence. Either that or he will call you names that hurt your feelings. He’s good at both, but it really depends on his mood that day. Anyway, have at it, folks. Would you rather… Continue reading GamerSushi Asks: Would You Rather? Posted on November 18, 2010 November 18, 2010 Author EddyCategories Features, GamerSushi Asks, GamerSushi News, Gaming Theory, Industry News, lists, Retro, RPG, ShooterTags bungie, square enix, would you rather10 Comments on GamerSushi Asks: Would You Rather? 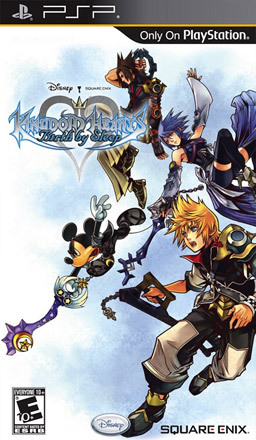 The much criticized PSP Go has just given the naysayers another piece of ammunition against it with the news from Square Enix that the surprisingly normal sounding Kingdom Hearts: Birth By Sleep will only be released on UMD and not the Playstation Network’s PSP Store. This means, of course, that owners of the PSP Go won’t be able to play this blockbuster game at all. The PSP Go was Sony’s reaction to the rampant piracy that plagued and still plagues the original PSP, thanks to relative ease of ripping information off UMDs. Now, Square Enix is the one who “currently has no plans” to launch a digital release of the game, but it stands to reason that Sony would want to work with them to ensure all of their customers get a chance to play this game. What do you think about this? Should Sony step in? Do you own a PSP Go and will this affect you at all? One of the problems plaguing MMOs (and indeed all level-bases online games) is that players who have more time to dedicate to the game will outpace those of us who can only spare a few hours a week. This leads to some disparaging situations where overpowered players wipe the floor with other users in Player versus Player servers since they have the best gear and the stats to match. While some may decide that this is unfair, there’s really nothing the players themselves can do about it. Final Fantasy XIV, the upcoming fantasy MMO for the PlayStation 3 and the PC, is hoping to address this issue with the idea of diminishing returns. The main way you progress in a Role Playing Games is through experience points, or EXP for short. It’s been this way since the dawn of gaming, and it’s not going to change any time soon. The more time you spend playing, the quicker you get points and the quicker you level up. With Final Fantasy XIV, this is going to change somewhat by limiting the amount of hours each week that you can earn one hundred percent of your experience. Basically, for eight hours of the week, you’ll get the full amount of EXP for quests and killing monsters. After that, though, your gains will start decreasing, eventually reaching a grand total of zero at the fifteen hour mark. This is on a weekly timer, so the experience clock resets every seven days. According to Square Enix, the idea behind this is that, in real life, no one could train at something for hours on end without reaching a plateau. Imagine lifting weights for eight hours a day? Eventually you’d run out of steam, and probably hurt yourself. Naturally, this sort of artificial barrier is annoying MMO players, most of whom are dedicated to the point of playing more than eight hours a week. Think about it, if you played two hours a night, you’d be at the eight hour threshold before your knew it. An average World of Warcraft dungeon can take upwards of four hours, so this might be a problem in the making. The good news is that the EXP earned during the extra hours are banked as a surplus, but as of yet the developers don’t know what to do with them. What do you guys think about this? I know we don’t have a lot of MMO players on the site, but as a former Star Wars Galaxies/World of Warcraft player myself, this limiting of player progression seems like it could hurt the game in the long run. I feel that, if you’re paying a subscription, you should play as long as you like with full returns, other players be damned. What do you think? Update: I’ve read that this only affects up to fifteen hours of each job class, so it’s not an account wide restriction. Definitely better than the heavy-handed maneuver it seemed to be. This is all the info I’ve seen about Gun Loco so far, other than the little tidbit that the character designs were done by respected toy maker Kenny Wong. The game will have both single and multiplayer components when it is released. What do you guys think of the trailer. Did you find it as weird as I did? Update: It looks like this game is going to a be a full disc-based product after all. Hopefully the art gets a few more passes for polish before the release date. We’ve seen a few CGI trailers for Deus Ex so far, but nothing that remotely resembles gameplay. A lot of you are probably wondering how the game looks when it’s running in-engine, and Square Enix has put out a new trailer to quiet your inquiries. This new video blends cutscenes and in-game action, and it looks pretty slick if really, really golden. Seriously, they need to get some white lights in this city. Looks like we’ll be able to do all the stuff promised in the first trailer, such as neck-snapping through walls and turning invisible. Also, any game that features transforming gun-arms are OK in my book. What do you guys think of Deus Ex? Now that you’ve seen some gameplay, are you excited? I know that we have quite a few Deus Ex fans on this site, so this post is especially you for you. If you were unaware, a trailer for the newest entry into the franchise (and prequel to the series), Deus Ex Human Revolution, just hit the good ol’ webz today, and holy cow if it isn’t pretty awesome. I don’t mean to hype this trailer up too much, but I’m seriously damn impressed by it. I don’t know a thing about Deus Ex, its world, the main character, or how any of the game plays, but I immediately want to go find out everything I can about it right now. On the real. You need to watch it. Does anyone else wish this was a movie after watching it? Because I certainly did.